Will Wolves edge Everton on Saturday evening? We're chasing the big one with our opening salvo of the Premier League season - the £5m Colossus! All we have to do is get seven scores right, easy! Joe Dyer says: "Bournemouth have enjoyed an encouraging pre-season and have enough about them to kick the season off with a win although it wouldn't surprise were Cardiff to get on the scoresheet." Jasmine Baba says: "Crystal Palace would have learned from the last start of season's horror show but Fulham will stand their ground with a host of new signings." Joe Dyer says: "Chelsea are odds-on to win this but it might be closer than expected against a Huddersfield side that will press and harry in search of opening day spoils." Joe Dyer says: "Goals should be in short supply in a game featuring two of last season's lowest scoring sides. A point apiece looks likely. 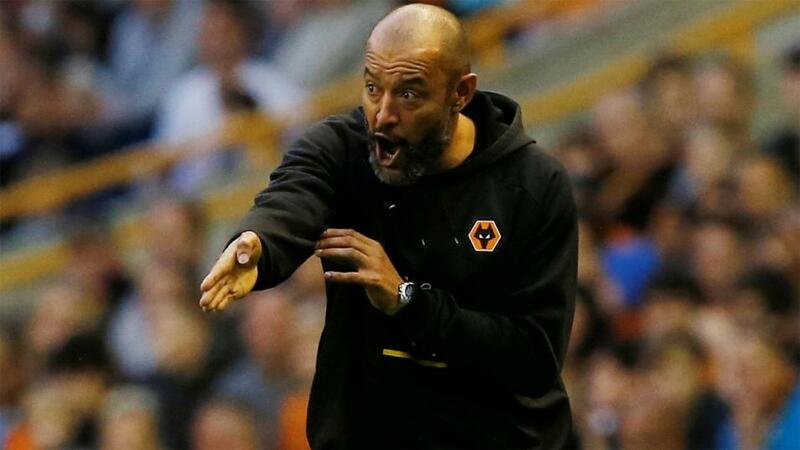 Joe Dyer says: "Wolves are well-fancied to finish best of the rest in the Premier League and face the usual standard bearers for seventh spot in an intriguing fixture. The home side could edge an encounter against the Toffees who are adjusting under Marco Silva." Joe Dyer says: "Burnley were a fine away side last year and should come into this one primed to pick up a morale-boosting away point, if not three." Jasmine Baba says: "Expect both teams to take time to feel each other out. Arsenal will be facing teething problems with the amount of changes over the summer so expect Manchester City to edge it."